Deepak Chopra is an author, public speaker, and alternative medicine advocate. He is also a prominent figure in the New Age Movement. He often discusses meditation, spirituality, and religion in his books. What can you learn from Jesus? In many cases, the story of Jesus Christ can teach and inspire us to be kind and to help out others. However, there is also another version of Jesus who is used by many Churches and religious leaders to discriminate and oppress. So who is Jesus really and what does he want to teach humankind? 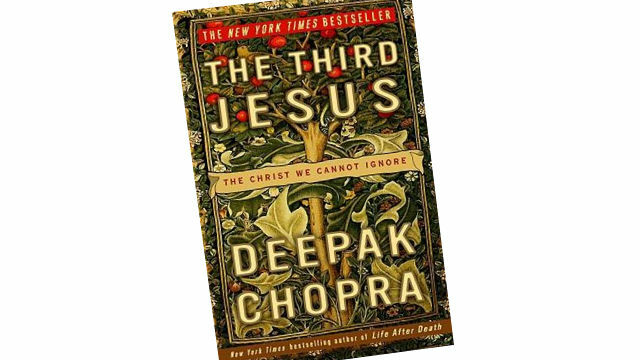 In the book The Third Jesus: The Christ We Cannot Ignore by Deepak Chopra, Chopra breaks down all the images of Jesus and explains why the third Jesus, the most important version according to the author, is the one that we should learn the most from. This Jesus is the one that is talked about historically (the historical figure). He is the kind rabbi that wandered the streets preaching equality, love, kindness, and peace. But the problem with this version, as Chopra says, is that there is still too much mystery behind him as much of his life’s history wasn’t recorded. This Jesus is the Jesus that the Church created (the “one and only incarnation of God”). This is the version of Jesus that is represented in the New Testament. He is prejudice and intolerant, and he is the version that is used to oppress people. This is the Jesus that teaches us how to reach God Consciousness or universal wisdom. This is the Jesus that Chopra believes we should not ignore because this is the version that can help us reach enlightenment. He says that by practicing this Jesus’s teachings, we can shift our consciousness. The Third Jesus is a great book for anyone who wants to know more about Christianity or Jesus’ teachings. Or if you are a person who is interested in learning about New Age spirituality, this book is a great choice too. If you are interested, click here to buy Chopra’s The Third Jesus: The Christ We Cannot Ignore from Amazon.